Emery V. Braidich, 87, passed away July 11, 2018. Born in Youngstown, Tallmadge has been his home since 1960. Emery served in the U.S. Army and had a long time career as a Polymer Chemist with General Tire, now known as Omnova. He was a member of the Amvets and enjoyed research, golfing, traveling, hiking, birdwatching and most of all, spending time with his family. He was preceded in death by his parents, Joseph and Maria Braidich; sister, Emilia Braidich; brothers, Milan, George and Raymond Braidich. 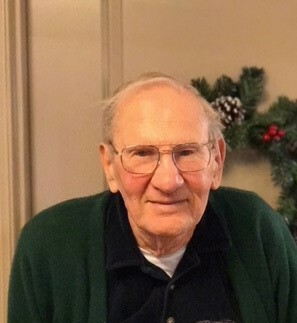 Emery is survived by his beloved wife of 60 years, Shirley; daughters, Helen (Frank) Fire, Ann (Douglas) Carter both of Tallmadge; grandchildren, Kurt and Mark Fire, Taylor and Madeline Carter. The family would like to thank Dr. Mark Smith, Western Reserve Hospital, Harbor Light Hospice and the staff of Maplewood Senior Living of Cuyahoga Falls for their compassion, guidance and support. In lieu of flowers, memorial donations may be made to the Tallmadge Foundation, P.O. Box 62, Tallmadge, OH 44278 or the Warriors Journey Home, P.O. Box 67212, Cuyahoga Falls, OH 44222.